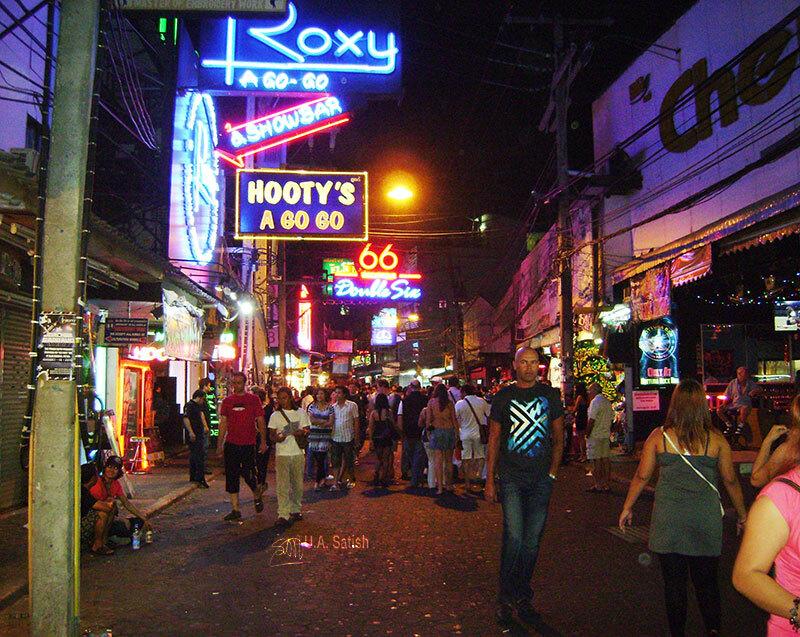 Walking Street Pattaya is a famous and vibrant part of Thailand. It runs from the south end of Beach Road to the Bali Hai Pier and there are entrance arches at either end. The area includes seafood restaurants, live music venues, beer bars,discos, sports bars, go-go bars, cabarets and night clubs. A variety of foods from seafood to western foods can be found among the selection of restaurants on Walking Street. Multi-coloured neon lights illuminate the street at night. The closing time of 2:00 am has been extended for many entertainment establishments. 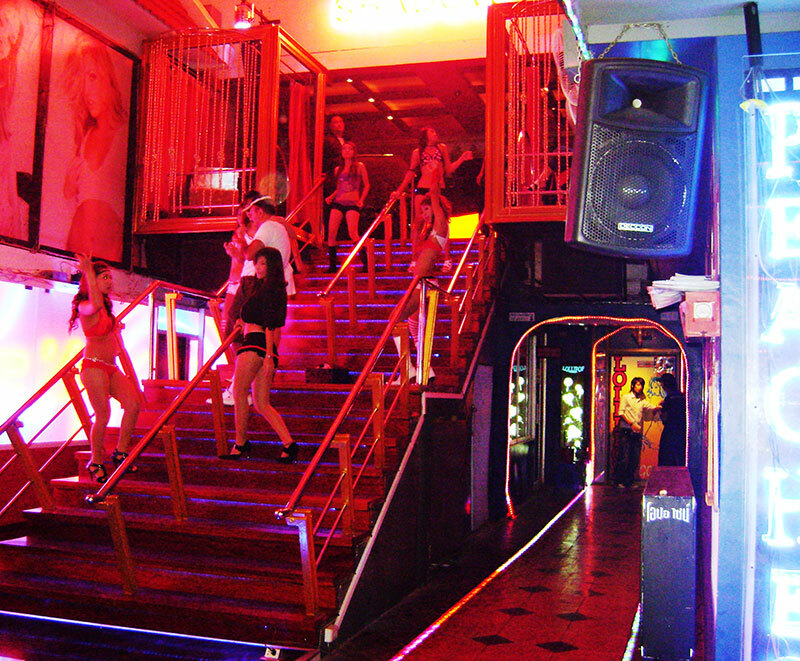 The elements in a Go Go Bar typically include a bar, a central stage with poles and seats facing the stage. Girls will dance on the stage. After a few songs, a new set of dancers will replace them. A draught beer will cost about 85 bahts. Most of the bars are open from 8:00 pm to 3:00 am. The street is traffic-free at night from 6:00 pm to 2 am, and car parking is at the Bali Hai end. The street is also memorable for the large amount of glowing neon signs which light up the street at night. The area has hundreds of bars. Many of them have neon lights and loud music. Several bars have live music. Usually the opening time is 8:00 pm. If you buy the waitress a drink, it will set you back by 165 bahts. There are a large number of restaurants on the one kilometre route. They provide Indian, Thai, French, Italian, American and Russian food. A few of the restaurants are big establishments, with views looking out to Pattaya Bay. 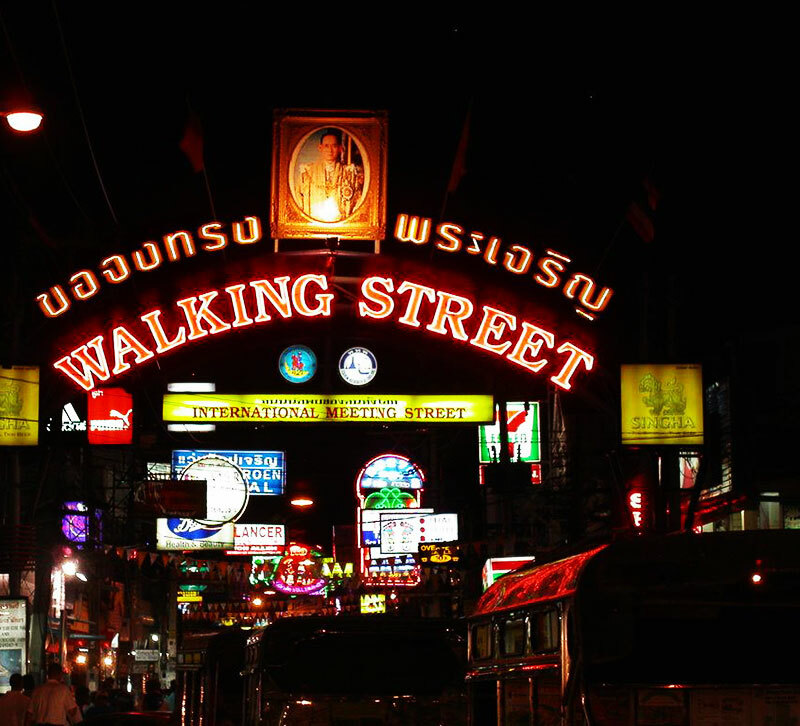 Walking Street does not cater only to the thrill seeker. Quiet and family-orientated shops, shows, restaurants and bars survive the competition. A number of top class tailors, jewellery and cloth shops are reachable for those wanting to carry off souvenirs or treat new-found friends. Post comments in the box below. If you have questions, please use the Contact Form to get in touch with me.